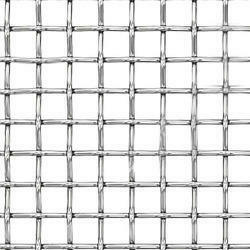 We offer supreme quality Stain Steel Wire Netting manufactured in stainless steel, gi, pb, brass, copper, nylon etc as per ISS, BSS, ASTM, tyler up to the finest micron and meshes with modern machinery. The wire mesh is used for many purposes due to its strength. This corrosion resistant meshed wire is long lasting and is widely used in transportation, agricultural, mining, and such other industries. We offer these at most competitive prices to satisfy the needs of our clients completely.